who knew you can save money and cook thai at home! use whatever you have on hand for this stir-fry. i used jalapenos to tone the heat down a bit for the kids. 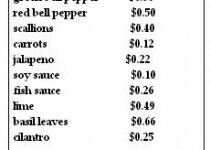 but you can sub thai chilies for jalapenos or even thai chili paste...whatever you like. this dish is packed with flavor and comes together fast. heat the oil over high heat. add the garlic and saute until fragrant. add in the ground chicken. saute breaking the chicken up as it cooks. once the chicken is cooked through add in the veggies. 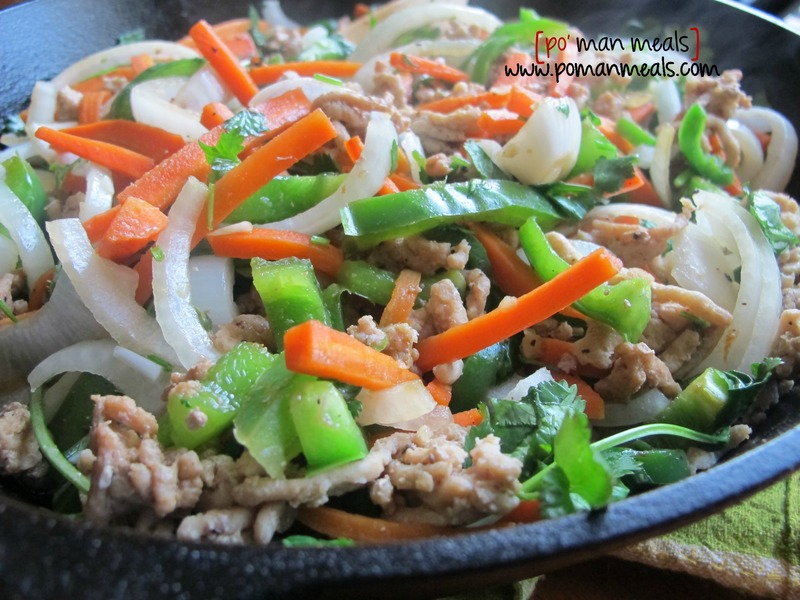 continue to stir fry and toss in the pan. stir in the soy sauce, fish sauce, the juice of one lime and basil. saute for a minute more and remove from heat. serve over rice or in lettuce wraps and garnish with lime wedges. Oh this looks really good and would be gluten free for me! I am so tired of the same old gluten free dishes I make…I have to try this one!